Wake up to beautiful coastal views from the luxury of your fully self-contained apartment. 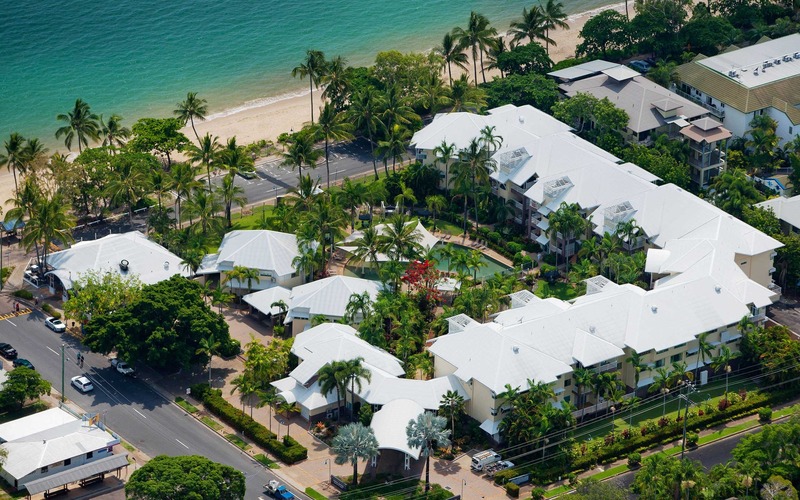 With one, two and three bedroom options, you can enjoy a relaxing stay in these fully furnished Trinity Beach apartments. Dine in at our licensed restaurant, L'Unico Trattoria Italiano, located onsite. We’re also located within walking distance of a great range of local cafes and restaurants. Whether you’re looking for casual dining or something more fancy, you’re sure to find some delicious choices only a short stroll away. Alternatively, make use of the resort’s outdoor BBQ facilities and all the convenience they provide. 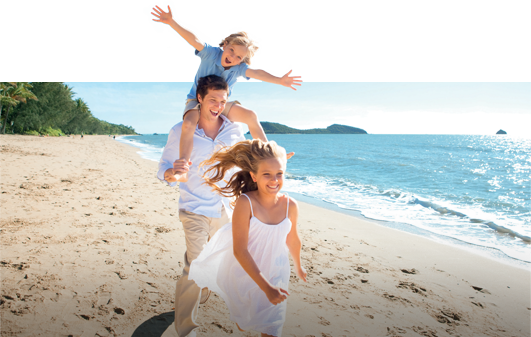 Our past guests consistently give our beachfront accommodation at Trinity Beach great reviews. They rave about our excellent facilities and service, as well as our super convenient location. Guests love that we’re located right across the road from the beach and that there’s a bus stop right outside our resort, making commuting around on your holiday easy and carefree. Coral Sands is nestled on two acres of tropical landscaped gardens with an on-site restaurant and a lagoon-inspired pool. Take a dip in this tropical paradise, lounge under the trees or have a BBQ using the outdoor facilities.